This weekend was a busy weekend for the Arts Department. 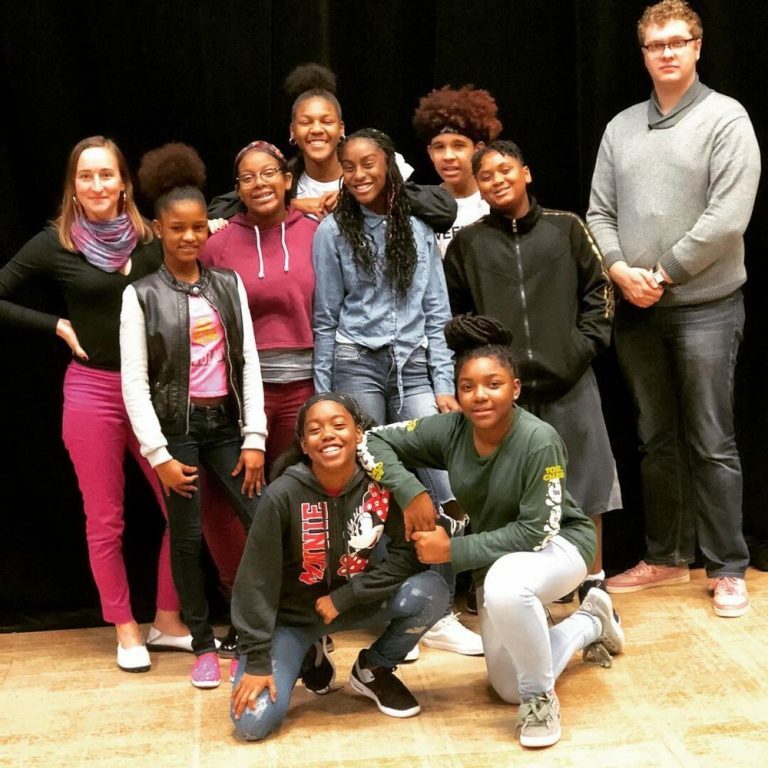 This Friday, we hosted the Belgian theater group, Britt Hatzius, in-house to rehearse & teach drama techniques to a select group of students. That same evening, Ms. Tracey ran the Gallery Crawl and had a nice student and participant turn out. Saturday afternoon was the official performance of Blind Cinema - Urban Pathways had 8 students show up and participate. They did awesome. The film sold out and the crowd was very appreciative of our students' narration. You can see our student on the microphone - that means he was broadcasting to about 20 people versus just two.